Today at Mac, I went in fully expecting to leave with the Studio Finish concealer. However, after talking with one of the makeup artists there, she recommended the Mineralized concealer instead since I have rather dry and dehydrated skin. She tested it on me, and it felt quite nice in the store so I decided to try it out. It’s a really lightweight, creamy concealer and does feel extremely nice on the skin. I bought NW25, which has a slight salmon tone to it. I got home about 2 and a half hours later, and was pretty shocked to see my reflection. The concealer had COMPLETELY settled into every line under my eyes, and had creased pretty horribly. My eyes looked like those of an old woman. It looked like I hadn’t even put any concealer on, and not in a good way-my dark circles were completely visible and were even accentuated due to the creasing. I went on to makeup alley to see what other people thought of the product, and sure enough so many other people had the exact same problem. Trying it the second time, I saw the exact same results. I have to admit, I am extremely disappointed with this product. 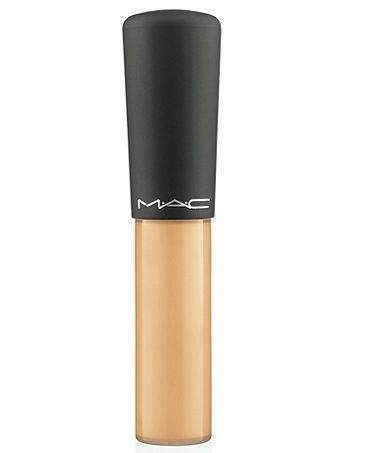 I love Mac, and I’m sure that this product is great for some ladies out there-perhaps those who don’t need heavy coverage. However, I have extremely bad dark circles (thank you sleep disorder and genetics) and really need something more pigmented to cover them. I will be returning it tomorrow and trying something else. Bottom line: if you don’t really have severe dark circles and are looking for something light, this product might work well for you. However, if you’re like me and have quite dark under eye circles that you are trying to camouflage, I do not recommend this concealer. Previous Post Victoria’s Secret Luminous Mineral Blush Duo Review! Really helpful review. I’m always trying to find an under-eye concealer that doesn’t go all wrinkly – looks like this isn’t it! Thank you! I feel your pain, I’m on a mission to find a good concealer, so I shall definitely make a post if I find one!